To join, form a dance group with four (4) to ten (10) members and create a video showcasing your own dance choreography using the official “Gandang EB Naturals, Puting Natural” jingle. The two-minute video must include any EB Naturals soap or skin care product. The video must be clear. Daylight shooting is highly recommended. Upload the video on the Facebook account of the group representative together with the hashtag #GandangEBNaturalsPutingNatural and the complete list of dance group members. All members must also like the EB Natural’s official Facebook page. Entries must be submitted by November 30. 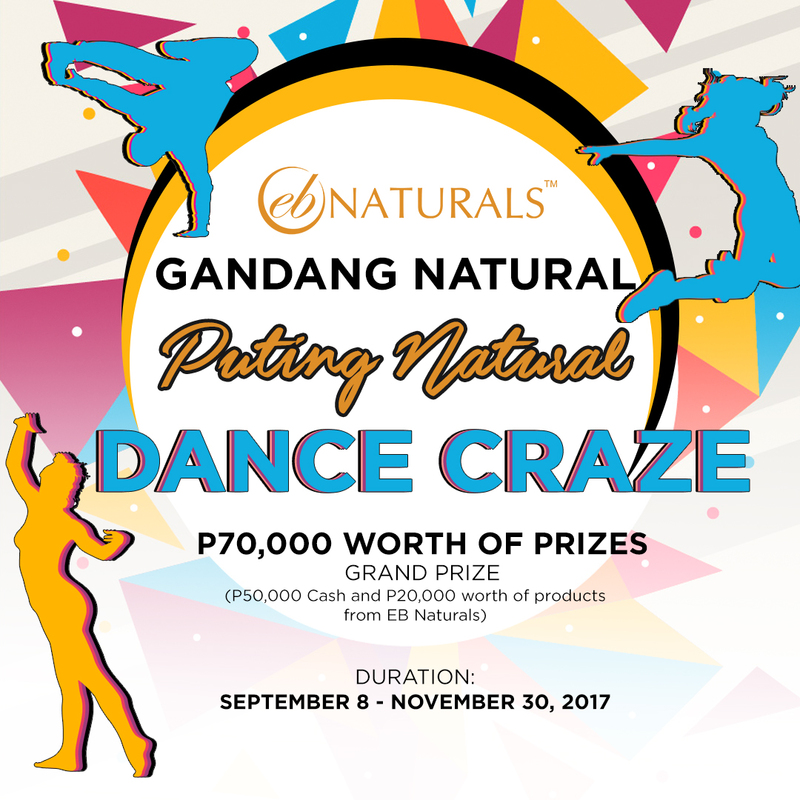 The representative must also register online by sending a dance group photo in PDF format and the YouTube and Facebook links of the dance video, via email to ebnaturalsmktg@gmail.com with the subject: “Gandang EB Naturals Puting Natural Dance Craze (Online Registration).” Senders will receive notification once entry is valid. Grand prize winner will receive P50,000 in cash and P20,000 worth of EB Naturals products. The winning choreography will be the official dance move of the “Gandang EB Naturals, Putting Natural” jingle. The criteria for judging are Creativity 50%, Performance level 40%, Facebook and Youtube Impact 10%.